Question: Hi, I have inherited an old 2nd hand Hartley 10, 7 Section polygon greenhouse, which I would like to restore to its former glory. Unfortunately there are several broken or missing panes of glass. Getting 4mm replacement safety glass is not a problem, but the edge seals are missing. This is a square U section and extends ~ 10mm onto the glass and forms the weather seal between the glass and aluminium frake when held in place by the screw-down glazing bars. It is quite thin and flexible, but not rubber. Possibly TPE. Is it still possible to get this or can you recommend a replacement? 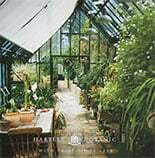 Answer: Some of our older greenhouses were supplied with 3MM horticultural glass. We do supply the TPR (thermo plastic rubber). Please call our office for further details.